03 Night Hotel accommodation at Phuket. 03 nights hotel accommodation at Pattaya. 02 nights hotel accommodation at Bangkok. Sight seen as per itinerary. Seat in coach transfers BKK APT - PTY HTL - BKK HTL - BKK APT. Visa CostAny other expenses of personal nature, anything not mentioned under "Cost Includes". Welcome to your tour of Thailand!!! Orient's most fabled city. Arrive at the Suvarnabhumi International airport. After clearing Customs & Immigrations you will be met by our local representative next to the ATTA Counter and transferred to your hotel in Phuket on seat in coach basis. Check-in at the hotel. Overnight at the hotel in Phuket. Enjoy breakfast at the hotel. Today you will proceed for Phuket city sightseeing. 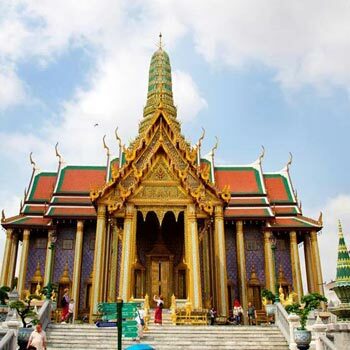 These Phuket city tours cover most of what is of interest in Phuket sightseeing. From the view points where you can see Phuket Town, the beaches and the islands, to the Big Buddha statue on top of the highest point of Phuket overlooking the entire island, the neo-Portuguese architecture of Phuket town, the temples and the unforgettable sunset at Phrom Thep Cape to name a few. Overnight at the hotel in Phuket. After breakfast, you can visit Phi Phi Islands which is a must for first timers. It is the topic of conversation for travellers all over Thailand. A Phi Phi Island tour is the most popular activity in the region. Phi Phi Islands are situated 40 km south-east of Phuket and consist of six islands. The major ones being Phi Phi Don, which hosts the bohemian town of Phi Phi Islands, and Phi Phi Leh with Maya Bay which featured in the movie "The Beach". Overnight at the hotel in Phuket. Today we will be checking out of the hotel. You will be picked from your hotel lobby for your transfer to airport to proceed for Pattaya . At the airport you will be met by our local representative next to the ATTA Counter and transferred to your hotel in Pattaya on seat in coach basis. Check-in at the hotel. Overnight at the hotel in Pattaya. Enjoy breakfast at the hotel. Today you will be picked up for a speedboat ride to the Coral Island. Upon arrival you will be treated to a spectacular view of the island's coral reef on board a glass bottom boat, after a sumptuous seafood lunch. The rest of the day is free for you to simply laze on the sandy beaches or take a dip in the turquoise blue waters. For the more adventurous indulge in parasailing, water scootering or skin diving at an extra cost payable directly. Return to the hotel. Overnight at the hotel in Pattaya. Enjoy breakfast at the hotel. Check out of the hotel. Today you will be picked from your hotel lobby for your transfer to Bangkok Hotel. 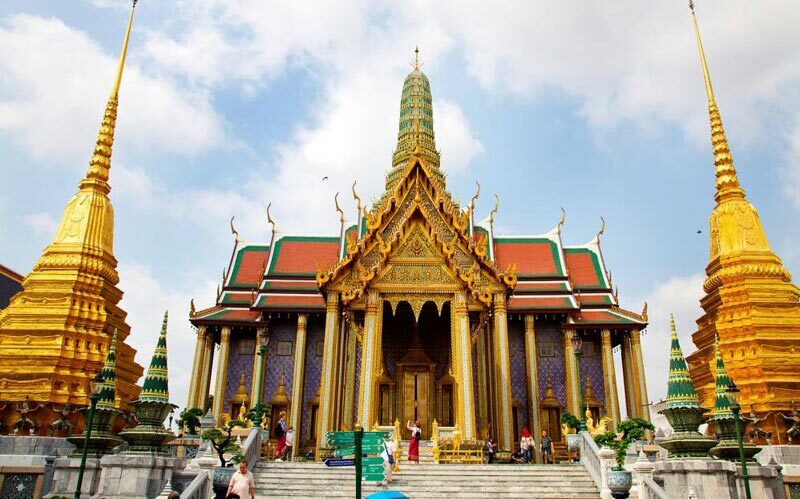 En route enjoy an afternoon City & Temple tour of Bangkok, resplendent in all of its fascinating culture! Thailand has over 26,000 temples or Wats (local name). As an introduction to Bangkok, drive across the city where old & new, classic & modern, match & contrast one another. Check-in at your hotel in Bangkok. Rest of the evening is at leisure. Overnight at the hotel in Bangkok. Enjoy breakfast at the hotel. Today you explore beautiful Bangkok on your own. Visit uninhabited city or nearby market & places. Indulge yourself in the fine art of relaxation. Overnight at your hotel at Bangkok. Overnight at the hotel. Check out of the hotel, you will be met by our local representative at the hotel lobby for your transfer to Bangkok airport for your flight back home.